Before you purchase any car, it’s a good idea to ask the salesperson some questions. But that’s even more important when you buy from a used cars dealer near me in Waggaman, LA. That’s because you need to make sure the car you’re buying is just as safe as a new vehicle. Take a look at these simple questions to ask your used car dealer, and then get ready to purchase your next ride. With the right information at hand, you’ll be able to make a decision you certainly won’t regret. Has a mechanic inspected the vehicle? You always want to make sure that a certified Waggaman, LA, mechanic has inspected the vehicle you’re looking at. Without this inspection, neither you or the dealer will have any idea if the car is safe and functional. Most of the time, reputable dealerships require their mechanics to inspect vehicles before they even go on the lot, so if you pick a great dealership, you should be OK. However, it never hurts to ask, and it can help you feel confident in your decision once you pick out the vehicle you want. You also need to think about the financial aspect of your purchase. After all, buying a car in Waggaman, LA, is expensive, and you want to make sure you spend your money wisely. Therefore, ask your salesperson about financing details. They can help you find an auto loan plan that works for you and allows you to take home the vehicle you really want. Even if you don’t have a great credit score, there’s a good chance that a used car dealer will still be able to help you out. Where is the vehicle history report? Of course, you need to see the vehicle history report before you finally buy. Therefore, don’t forget to ask your Waggaman, LA, salesperson this question. It’s essential information that you need to have in order to make the smartest car-buying decision possible. 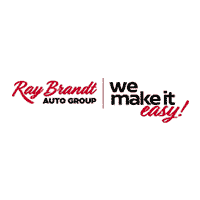 At Ray Brandt Auto Group near Waggaman, LA, we want you to feel good about your vehicle purchase. That’s why we go above and beyond to make sure you have all the answers you need for a positive experience. Let us help you today when you come in and see all we have to offer.